The "Angry Birds" juggernaut will include a series and feature film. 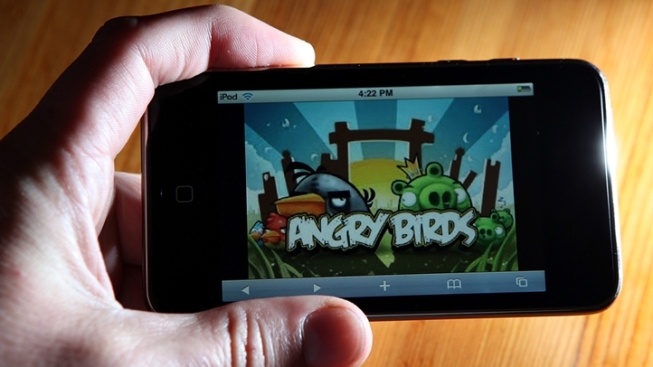 Angry Birds developers have an animated cartoon series and movie in the works based on the blockbuster mobile game. Debuting this fall, independent Angry Birds developer Rovio will be releasing a 52 episode series of three-minute cartoons, according to CNET. The company said the series will be available on a variety of devices and platforms worldwide. The animated series will serve to expand on the beloved fowls’ backstory, Rovio’s head of animation, Nick Dorra, told a crowd of entertainment producers and distributors at Marche International des Programmes de Television in France. "It's about telling more engaging stories and deeper thoughts, deeper feelings of the characters, such as why are they always angry?" Dorra said. At the MIPTV conference, Dorra promised developers that a feature length film was also in development. It’s due to hit theaters in two years. “Everything has gone in a huge, huge bigger direction than we ever thought it would be going in,” Dorra said. Angry Birds has soared in popularity since it was first released in 2009. Its most recent installment, Angry Birds Space, boasted 10 million downloads in 3 days when it was released last week, according to The Washington Post. The series centers around catapulting a band of angry birds into pigs standing in a fortress.